Born in 1968 in Bursa-Gemlik (Turkey), Dr. Koray Erdogan attended Bursa Anatolian High School and later, Hacettepe University where he earned his medical degree from the Faculty of Medicine. 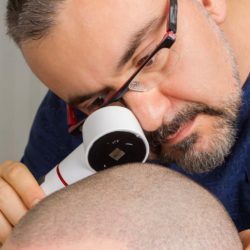 In 2001, he founded his own hair transplant clinic, and at the same time, participated in numerous conferences and seminars in Europe and the United States. By 2004, he had developed his own unique FUE system known as the “Sequential Technique” that has since been evidenced in forums and international publications. Additionally, he validated and demonstrated this technique in numerous international congresses and workshops such as in Spain, Italy, Malaysia and India.